*Aero pockets reduce turbulence around wheels. 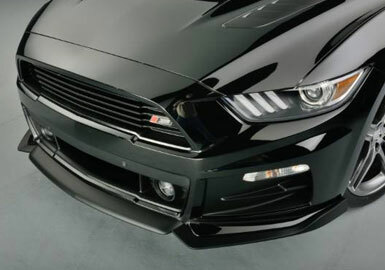 * ROUSH’s High-Flow Upper Grille and Lower opening with ROUSH’s Front Chin splitter. ROUSH re-designed upper and lower openings add more cool air into the engine bay. The Front Chin Splitter creates extra down force and prevents front end lift at speed. Added Side Aero Pockets create a wind curtain for air flow around the front wheels. 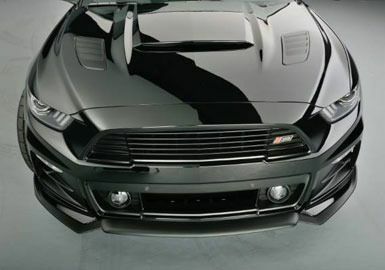 Product Description Roush Styling & Functionality This 2015 Mustang Roush front fascia kit transforms the looks of your S550 Mustang front end while also giving you performance more functionality! 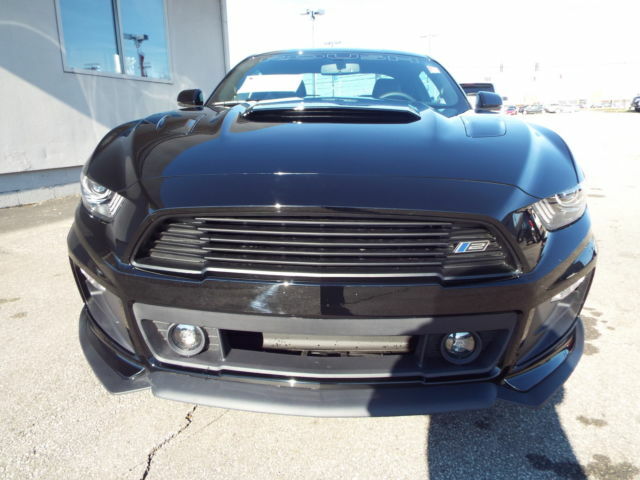 This completely re-designed 2015 Mustang front bumper increases airflow into the engine bay and around the wheels. This reduces engine bay temperatures and reduces turbulence around the wheels. Each part has been designed, engineered and manufactured in the USA at Roush’s own facilities using the same materials and processes as the big OEM’s companies do. This means superior durability, impact and heat resistance as well as factory level fitment. Using Original CAD data from Ford, ROUSH is able to manufacture parts that require no trimming, cutting or sanding for a perfect fit. All mounting hardware is included with each kit. NOTE: Fog lights and turn signal lights are re-used. Pre-Painted Note: This 2015 Mustang front bumper comes pre-painted if desire at additional cost from Roush . The ROUSH Complete front Fascia Kit does not include Fog lights or Turn Signals – These are carried over from the base vehicle being retrofitted.